Joan Shepard, veteran English born U.S. actress returns to London with her acclaimed show “Confessions of Old Lady #2” once again, regaling audiences with her amusing and sometimes poignant anecdotes and delicious gossip on such stars as Laurence Olivier, Ethel Waters, Tallulah Bankhead, Dame Judith Anderson, Liza Minnelli and Lenny Bruce. More of a monologue with occasional song than a cabaret, the show tells her story with wit and charm from her successful career as a child actor through the difficult transition to being accepted as adult performer, though in fact she continued to play children sometimes, albeit with a “bosom crusher”. 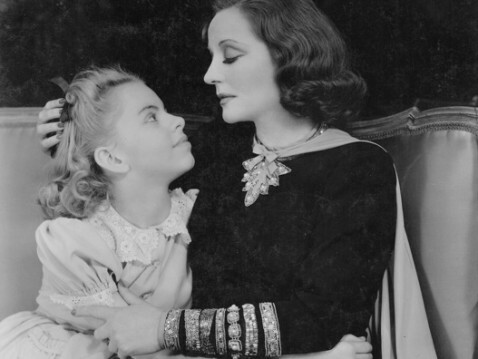 Now 80 years old, Joan began at the tender age of 7 being given her first job as an extra (though she slipped in a whispered line ) by Laurence Olivier in his 1940 Broadway production of “Romeo and Juliet”, and later went on to play daughter to Talullah Bankhead in “Foolish Notion”, who both gave the youngster her first Broadway solo bow, and set fire to her with a cigarette! She lets us know from the start that she never worked in movies – though she declined an offer from Elvis Presley’s manager to “kneel before the King”, which could have changed her fortunes. Forty –seven years later, she was offered a role in Disney’s College Road Trip – Old Lady #2! Joan is a gifted raconteur using a pleasingly conversational style and theatrical devices to lend variety and pace to her stories, including abruptly putting an end to her own opening applause to stamp her authority, seemingly going off on tangents in the middle of stories to explain certain points, and calling up a hapless female audience member to act as foil for one particularly outrageous encounter with a celebrity she had looked forward to meeting. She also writes and sings funny songs illustrating her many experiences both onstage and off. These are sensitively accompanied by Michael Ferreri on piano. The audience, although relatively few in number, laughed heartily and showed their genuine enjoyment of this diminutive Old Lady and I saw several approach her afterwards to express their fascination and delight. Her dearth of movie roles matters little to her. Her love of theatre and language, happy marriage and respect for the medium of children’s theatre have earned her the admiration of many fans both young and old. In fact, despite working in so many prestigious productions, her work in children’s theatre will perhaps prove to be her greatest legacy. She and her actor husband Evan Thompson founded the children’s theatre company “Fanfare Theatre Ensemble” where they wrote and performed several shows at a time when children’s work was considered very lowly in the States. It was this company that, such was the quality of their work, was to win the fight with Equity to create and grant contracts to actors working in this field. She shows no sign of retiring. This crackling fast-moving show is on its way to Edinburgh for no fewer than 19 performances at Fingers Piano Bar. You should try to catch it, especially if you are interested in the history of Hollywood and Broadway. This redoubtable woman tells us “I am going on tour this Christmas in “Hansel and Gretal”. Try and stop me!” I wouldn’t dare. This entry was posted in Theatre Reviews and tagged children's theatre, Fingers Piano Bar, fiona jane weston, Joan Shepard, London theatre, St james Studio, St james Theatre, Talullah Bankhead. Bookmark the permalink. Saw her today at Fingers bar in Edinburgh – a real character. Nothing will stop her! So glad you enjoyed her too.